Hair plays a pivotal role in the feeling of well-being and in physical attractiveness. Appearance of the hair is primarily determined by its surface texture, colour, thickness and shine. Scalp functioning and hair attractiveness are dependent on nutrition. There are evidences that having a deficiency of nutrients does cause numerous hair problems. Nutrients stimulate hair follicles to grow, and so when the body does not have enough, the hair may be affected. Modern nutritional science is developing new insights in to the relation between food intake and hair health. What you eat can affect the health of your hair. To keep your hair in good condition, fill your plate with fresh fruits, vegetables, whole grains, healthy fats and other nutrient-rich foods. Vitamin A: Vitamin A plays a key role helping you secrete serum, a substance that prevents hair breakage. It repairs hair, helps keep the scalp moist and stimulates hair growth. It is particularly a hair-loss fighter. Although vitamin A supports the maintenance of healthy hair, it should be consumed in moderation, like anything, just because it is a vitamin that does not mean that too much of it would not do you any harm. Overdose can result in serious impact. It will lead to reaching your hair to the end of growth stage too quickly and falling out. You can then experience hair thinning and in severe cases baldness. Vitamin A can be found in meat, fish, poultry, cod liver oil, eggs, cream cheese, goat cheese, feta cheese, other dairy products, carrots, sweet yellow and red bell pepper, fortified breakfast cereals, broccoli, spinach, winter squash, romaine lettuce, mango, pink and red grape fruit, watermelon, cantaloupe, papaya, guava, apricot and tangerine. 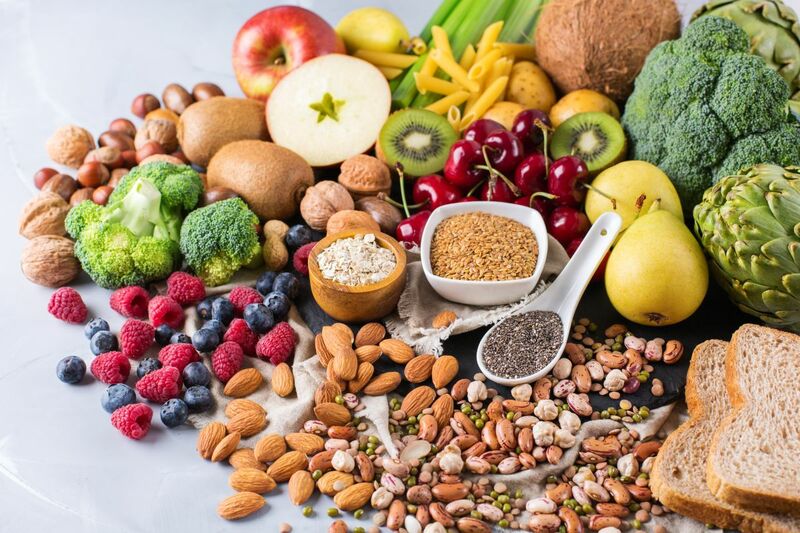 Vitamin B: Vitamin B is found in a variety of foods, such as, brown rice, millet, barley, red meat, poultry, fish, eggs, dairy products, beans, lentils, sunflower seeds, almonds, dark leafy greens, citrus fruits, avocados and bananas. Biotin is one of the best known B vitamins for hair growth. Biotin deficiency may lead to hair loss. Other B vitamins help create red blood cells, which carry oxygen and nutrients to the scalp and hair follicles. This process is important for hair growth. Vitamin C: It is one of the most significant nutrients that help grow and strengthen hair. It helps build collagen which is very crucial for hair growth and maintaining the strength of hair. Vitamin C also helps in absorbing iron, which again keeps the locks strong and healthy. Foods with the highest vitamin C include cantaloupe, orange, grapefruit, kiwi fruit, mango, papaya, pineapple, strawberries, raspberries, blueberries, blackcurrants, cranberries, sweet yellow pepper, chilli peppers, guava, broccoli, parsley, mustard spinach, kale, Brussels sprouts, lychees and lemons. Vitamin D: Having a vitamin D deficiency makes people more likely to experience hair loss and many other hair issues. People concerned with vitamin D deficiency-related hair loss should make few dietary changes and spend more time outdoors to help combat this deficiency. Spend at least 15 to 20 minutes in the sun per day. However, it is important to wear sunscreen and avoid prolonged exposure to reduce the risk of skin damage. Also eat foods that are rich in vitamin D or that help the body to absorb vitamin D. Good sources of dietary fat which help in absorbing vitamin D are avocado, cheese, egg, chia seeds, nuts, salmon, trout and sardine. Natural ways to get more vitamin D include eating mushrooms, grains, salmon and swordfish, and drink fortified orange juice and low-fat fortified milk. Vitamin E: Good sources of vitamin E are vegetable oils, such as olive oil, sunflower oil and wheat germ oil, almond butter, toasted almond, roasted sunflower seeds, shrimps, avocados, peanuts, hazelnuts, asparagus and broccoli. Vitamin E may help support a healthy scalp and hair due to the presence of natural antioxidant effects that could assist with maintaining hair growth. The vitamin’s antioxidant properties may also help reduce the amount of oxidative stress and free radicals that cause the hair follicle cells in a person’s scalp to break down. Protein: Hair follicles are made of mostly protein. Biotin is essential for producing a hair protein called keratin. Eating adequate protein is important for hair growth. A diet rich in protein is the only way to nourish hair strands and strengthen them inside out. Protein in your diet helps the body to produce keratin. When keratin weakens, hair strands are more prone to breakage. To nourish hair with protein, eat a high-quality lean protein diet which includes beans and lentils, low-fat or non-fat dairy, fish and shellfish, tofu or other soy foods, nuts, nut butter, seeds and eggs. Omega-3 Fatty Acids: Foods that are rich in Omega-3 Fatty Acids are soybeans (roasted), walnuts, salmon, sardines, herrings, mackerel, canola oil, flaxseeds and chia seeds. Omega-3 Fatty Acids can influence the overall health of scalp and follicles which can, in turn, improve health of your hair. You might not prevent a complete hair loss, but certainly you can make your hair healthier incorporating this nutrient in your diet. It prevents hair loss and breakage, encourages healthy and lush hair and the growth of new hair. The Fatty Acids in Omega-3 reduce inflammation and nourish hair follicles encouraging hair growth. Iron: Some of the best sources of iron include oysters, chicken, turkey and best plant sources include bean and lentils, tofu, baked potatoes, cashews, dark green leafy vegetables, fortified cereals, whole grains and enriched breads. When you do not have enough iron, your body cannot produce the haemoglobin in your blood. Haemoglobin carries oxygen for the growth and repair of cells in your body, including the cells that stimulate hair growth. Zinc: Zinc helps in hair repair and its growth. It also helps keep the oil glands around the follicles working properly. Deficiency of zinc can lead to hair loss. Whole grains, breakfast cereals, milk products, oysters, red meat, poultry, baked beans, chickpeas, cashews and almonds contain zinc in good amount. We all have been using foods as hair pack treatments for centuries – for example, making a hair pack of egg, olive oil and any other ingredient and applying it on the scalp to reduce hair problems. But did you know that the food you put in your mouth can affect the health of your hair more than anything you could put on your scalp and hair. Eat a varied nutritious diet and it’s amazing what can happen to your hair.